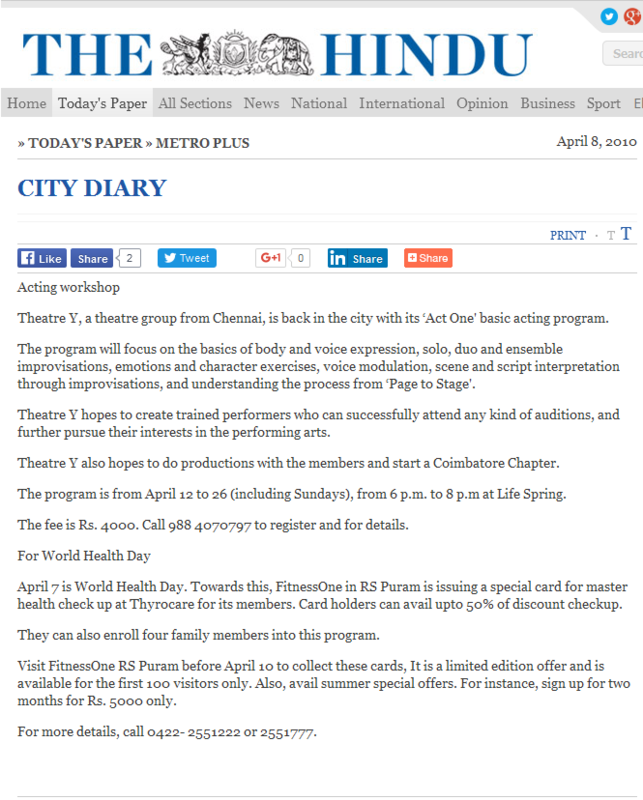 Metro Plus Coimbatore/Columns: Lecture-demonstration by Yana Lewis. Metro plus coimbatore: All the right moves. 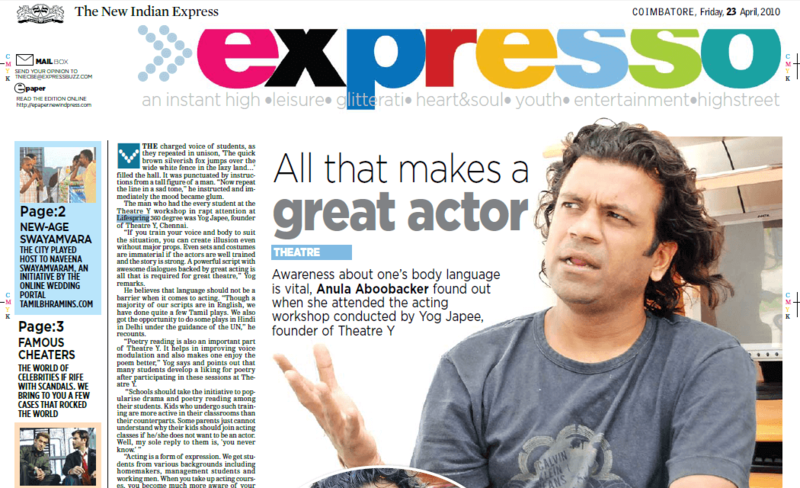 Expresso Coimbatore: All that makes a great actor. 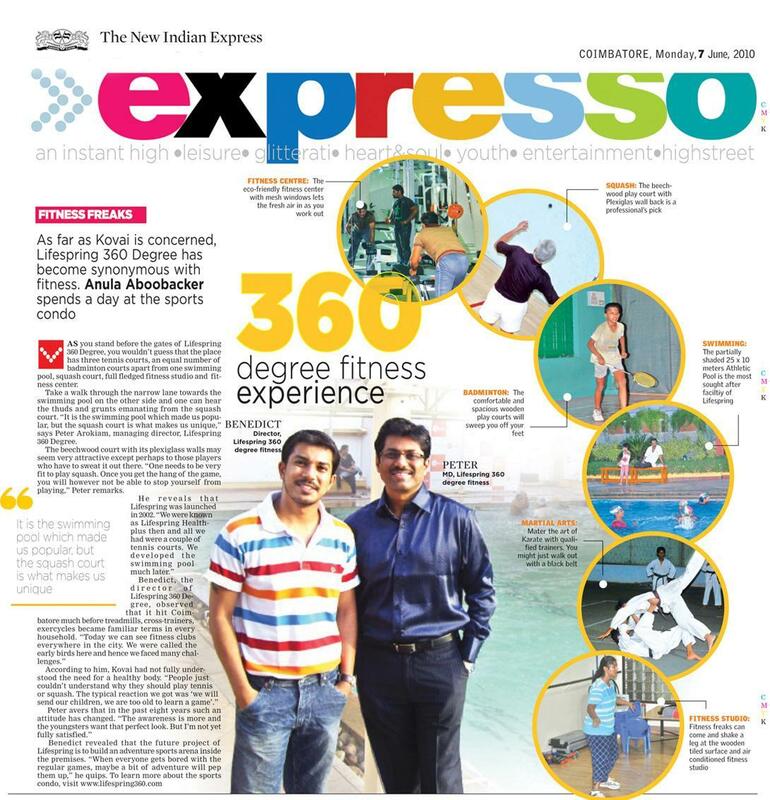 Expresso Coimbatore: 360 degree fitness experience. 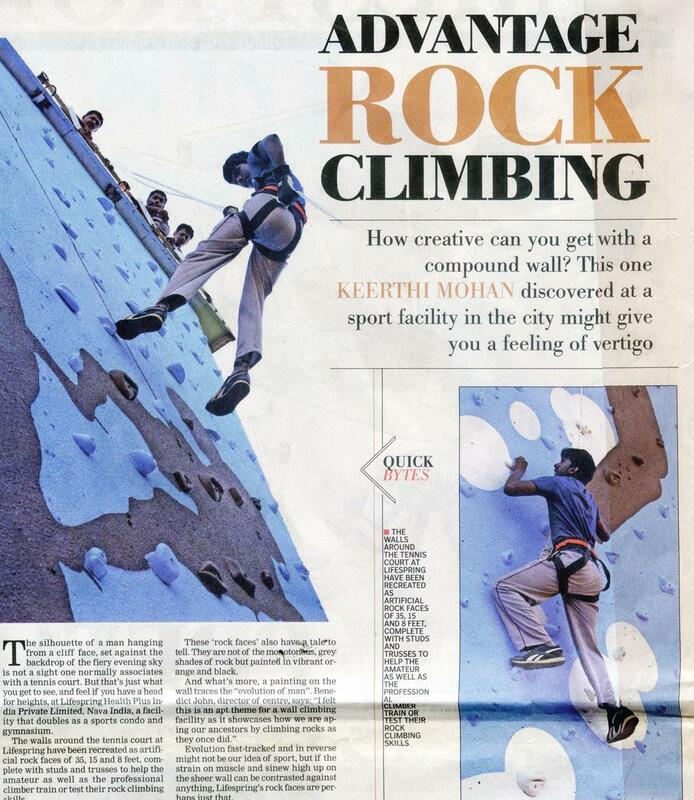 Rock Climbing facility comes to town. 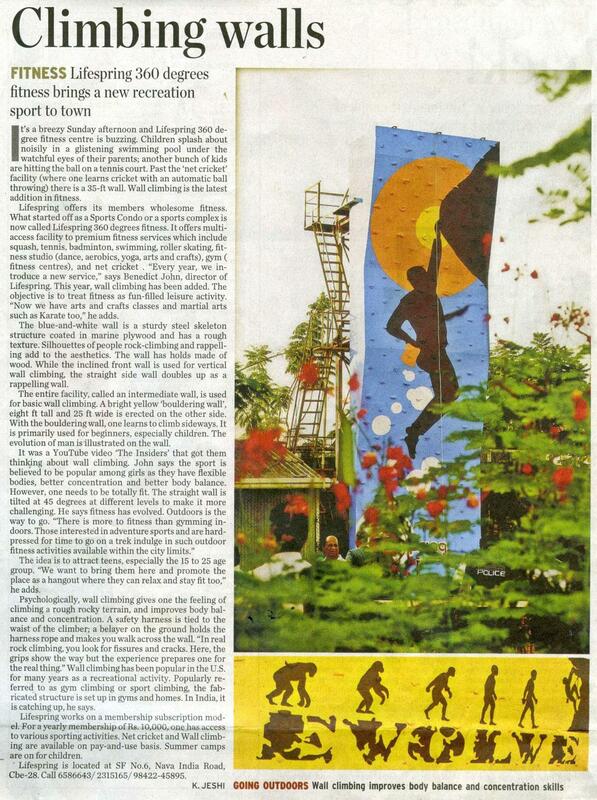 Metro plus coimbatore: 360 degree fitness brings a new recreation sports to town.